Clinique Calyx is a fragrance, created for the romantic, dreamy & delicate nature. Clinique Calyx 100ml. Eau De Parfum is a fragrance, created for the romantic, dreamy and delicate nature. If you can see the beauty in a fragrant flower and the morning sun, know how to enjoy every minute and appreciate all that surrounds you, then, no doubt, Clinique Calyx you'll be pleased. 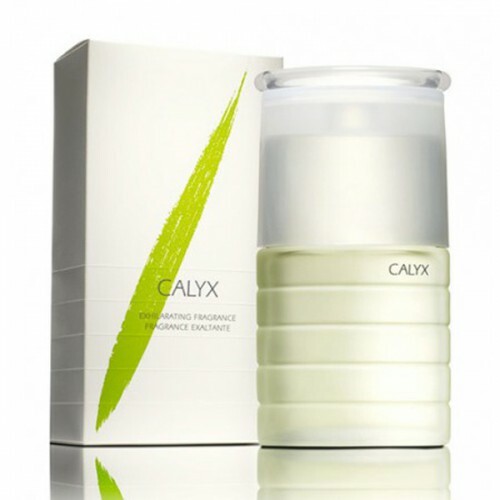 Calyx is Clinique perfume for demanding women who revel in fresh and refreshing tones. It is an energetic fragrance that gives you a lot of life force with the assistance of sparkling compositions. At the same time courageous and tropical essences, with which you will have a better mood and you promote your charm to a higher level. Perfume for Women Clinique Calyx is for the brave ladies who prefer mandarin, grapefruit and freesia. Floral and fruity components with which you will achieve unique and absolutely perfect results. This will be a sweet flavor that will impress olfactory senses all around you. Vial of scented water for women Clinique Calyx prides itself on distinctive sophistication. Matt green design corresponds with the used fruit and exotic administration. Revel in the shrill flurry around your own body, which will own throughout the day and evening.